If you enjoy coffee, sticking to the recommended amount during pregnancy may be a challenge. Fortunately, you don’t have to forego coffee altogether during pregnancy, as experts have stated that moderate levels of caffeine have not been found to have a negative effect on pregnancy. The definition of moderate varies anywhere from 150 mg - 300 mg a day or about 1-2 cups of coffee. 16 oz of Starbucks coffee has 400 mg of caffeine so make sure you stick to 8 oz unless you drink the Starbucks House Blend Coffee Blend which has 259 mg. Remember that caffeine is also found in other foods such as caffeinated sodas, ice cream, and chocolate (foods which should be eaten in small amounts anyway). Check the label for caffeine content. Most teas have less caffeine, usually around 40 mg, so you can try substituting this hot beverage for coffee. There are also many other healthy ways besides consuming caffeine to gain energy. Read on to learn six caffeine-free energy-boosting strategies that you can practice to ensure a healthy pregnancy. Magnesium, a mineral that is needed for more than 300 biochemical reactions in the body, may play a part in warding off the afternoon slump. One of its jobs is breaking down the sugars from the food we eat into usable energy so when levels are low, the heart has to work harder resulting in earlier fatigue. Even if your magnesium levels are a little low you may feel the difference. To get the recommended 300 mg for women and 350 mg for men, add a handful of almonds, hazelnuts or cashews to your daily diet, increase your intake of whole grains- particularly bran cereal and eat fish-especially halibut. Studies show time and again that people who eat breakfast report being in a better mood and having more energy during the day. A healthful breakfast includes whole grains, protein, and some healthy fats supplies your body with an energy boost early on that will get your eating schedule on track for the rest of the day. Missing any meal, though, may lead to feeling more zapped of energy by the end of the day. Strive for 6 small meals throughout the day to keep energy levels high. When feeling tired, the body craves sweets and carbohydrates like bread and candy which can lead to a quick energy fix in the short term but a possible weight gain down the road. The body can sometimes mistake thirst for hunger, so when you’re tired you’re even more vulnerable to this fuel confusion and may grab a cookie when your body really just needs a tall, cool glass of good old fashioned H20. Even slight dehydration may lead to feelings of fatigue and lethargy so before reaching for that Snickers bar at the back of your desk drawer, take a few swigs from your water bottle instead and see if that does the trick. Eating small, frequent meals is a great way to keep energy levels high throughout the day, but it’s not just about when you eat- what you eat matters too. Sweet, sugary foods will cause a rapid spike in blood sugar which is only good for providing a quick burst of energy followed by a rapid drop in blood sugar as the fuel is quickly absorbed. The perfect snack trio includes carbohydrate with fiber, protein, and some healthy fat. Whole grains are a great option for your carbohydrate source as they provide a slow and steady release of fuel while also providing more nutrients than refined grains. Try peanut butter on a whole wheat cracker or bring a baggy of trail mix to work including a mixture of nuts, a whole grain cereal, and dried fruit for a quick power snack when energy levels get low. If you do choose to grab a cup of joe for a power burst (which is ok as long as it’s just one cup) make it a low or non-fat latte. The milk will provide extra energy and nutrients such as calcium to help build strong bones. 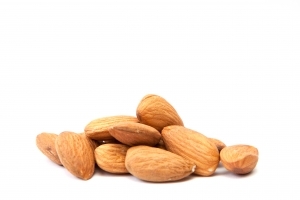 Combined with a healthy fat such as a handful of almonds to make the energy last, you have a tasty, guilt-free snack that does more for your body and energy levels than a cup straight up. If you’re constantly low on energy despite getting a good night’s rest, you may want to talk to your doctor about getting a blood test for hypothyroidism. The thyroid, a small gland at the base of your neck, controls how fast your body converts fuel into energy. When it is under active your metabolism functions too slowly and leads to feelings of fatigue. Another culprit of chronic low energy levels may be anemia, or a reduction in the cells that carry oxygen to your tissues and organs. This can sometimes occur in women during their reproductive years, especially if they’re losing a lot of blood from having heavy menstrual cycles. If hypothyroidism is the case, synthetic hormones can bring the body back up to speed. For anemia caused by iron deficiency, eating iron-rich foods such as meat, shellfish, beans, and enriched cereal as well as taking an iron supplement can help.